Solomon has wanted to work in the medical field since adolescence. After receiving a scholarship, he attended nursing school and went on to become a bedside pediatric nurse, where he saw many cases of the kind of stomach infection his initiative is attempting to address. 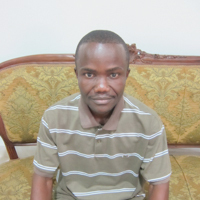 Solomon is now a clinical instructor in medical-surgical nursing and a lecturer in Community Health at the the Winifred J. Harley School of Nursing’s Campus in Ganta, Liberia. Solomon offers community based diabetes and hypertension monitoring. He has partnered with a physician to consult on in-home dose adjustments to medication so patients can avoid a costly visit to the hospital.